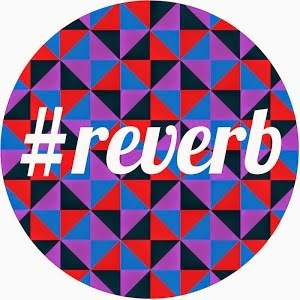 Today, I'd like you to revisit what you wrote on 1 December on the first day of Reverb14. How does that compare to where you are now i.e. what can you say today with certainty? On the first day of #reverb14 I wrote a pretty dark and depressing post. At the time, I meant everything I said and even now I don't feel the need to take any of it back. The only thing I can say right now with absolute certainty is I still know nothing. I don't know the future. I don't know the reasons for everything in my past. I don't know on some nights how I will make it through the next day, month, year. I don't know the answers to so many questions I continue to ask. However, after a few weeks of purging my demons into blog posts and a bit of an emotional breakdown, I am certain of a few things. I know I have friends who care about me. I know I am intelligent and have value to offer to the person who is open to accepting it. I know that the only person in my life I really have any control over is myself. I know the only thing stopping me from living a life worth living is me. Genuine happiness. Love. A sense of accomplishment. Those who make me feel worthless. Myself when I tell myself I'm not good enough. I am living my life with ease. My life may not be easy, but I won't be muscling my way through trying to force the world around me to conform, only causing me more suffering. Force myself back into what I know works: self care, exercise, sleep, asking for help. This is the year I finally stopped saying "I'm going to..." and instead say " I did...".